Mr. Phil Hogan, T.D., Minister for the Environment, Community and Local Government today, has announced funding for local environmental initiatives by communities, individuals and not-for-profit groups and organisations. The Minister has allocated funding of €337,000 to local authorities to fund projects under the Local Agenda 21 (LA21) Environmental Partnership Fund 2012. Matching funding by local authorities will bring shared potential partnership funding to €674,000. The Fund promotes sustainable development by assisting small scale, non-profit environmental projects at local level. Eligible projects are those that will support and complement, at a local level, national environmental policies such as those on Waste, Biodiversity, Climate Change, Air, Water and Sustainable Development. In spite of all the talk of austerity I am pleased that the Local Agenda 21 Partnership Fund will provide €337,000 to local groups this year. At the grass roots level, it supports efforts to improve the environment, to make our communities more sustainable and to increase general awareness of environmental issues. Fingal County Council will provide additional funding to the local groups as well as essential support. The projects can also attract funding from businesses and other organisations. All of this helps to facilitate a partnership approach within local communities. I would encourage resident associations and community groups to consider making applications under the fund. The LA21 Environmental Partnership Fund has operated since 1997. A total of 517projects were funded in 2011; including community gardens and allotments, biodiversity projects, environmental education programmes, waste reduction initiatives, and local environmental planning. 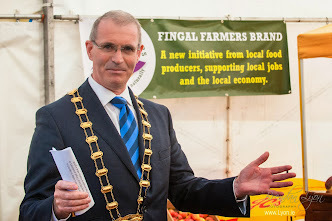 In Fingal €32,000 was provided to community groups and organisations last year. Groups seeking funding for eligible projects are invited to make an application to email an application form to envserv@fingalcoco.ie or post to Environment Department, Fingal County Council, County Hall, Swords no later than 5pm, 11th July 2012.